March is the month to explore career opportunities!! Your den or pack can host a career fair and invite adults to share what they do for a living and discuss how these careers may change with technological advances as boys grow up. Take Cub Scouts on field trips to learn about different occupations. 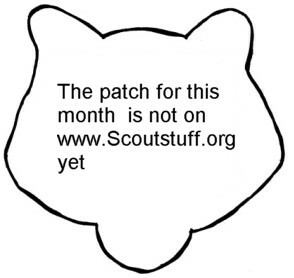 This is a great month to work on any of the Academics and Sports Belt Loops and Pins. ü Good Citizenship, Cub Scouts will learn that good citizenship and helping others is part of every occupation. ü Personal Achievement, Cub Scouts will increase their knowledge of career opportunities available to them. ü Respectful Relationships, Cub Scouts will learn to value themselves and others in whatever career choice they make. ü Positive Attitude, Boys will learn that having a positive attitude is essential to reaching career and other goals. Some of you have sent items, questions comments to me over the last month or so, and I have been late in replying (and publishing Baloo, sorry). A question I often receive, s can I submit items directly to Baloo? The answer is a resounding YES! Just click on the question spots on the site or write me directly at davethecommish@gmail.com . Now, just what is going on with me. This Fall my daughter took off from school for a semester. I now have an engineering consulting position I cannot just put on hold and I am in double digit years for almost everything I am doing (Roundtable Commissioner, Cubmaster, Baloo's Bugle Editor, Philmont trips to PTC and trekking). Although it is still fun doing it and I know the boys and leaders love it, I am getting tired of doing the same stuff. I need to find new ways to do them, have fun, and still deliver quality products. Any help?? If you have emailed me, and I haven't answered please accept my apologies, and email me again. One of the Pow Wow Books I opened this week was almost all items from the current CS Program Helps. Although I promote using PRIOR YEAR CS Program Helps and CS RT Planning Guides for resources for Baloo and Pow Wow Books, I do not feel the current one should make up the majority of your Pow Wow CD. CS Program Helps is available on line and is included in Scouting magazine and you can buy it for $2.99. Arbor Day - One council ran a lot of stuff for Arbor Day. Arbor Day is a nationally-celebrated observance that encourages tree planting and care. National Arbor Day was founded by J. Sterling Morton in 1872, is celebrated on the last Friday in April. This year it is April 24, 2009. Go to http://www.arborday.org/ to learn more and learn how trees can make a difference. Use of the nationally recommended themes is always optional and this was a great alternative. The SNJC Pow Wow CD did not get to the Pow Wow. The CD burner broke. As soon as I have a copy I will post it on-line and let those who sent me Pow Wow CDs know where it is.